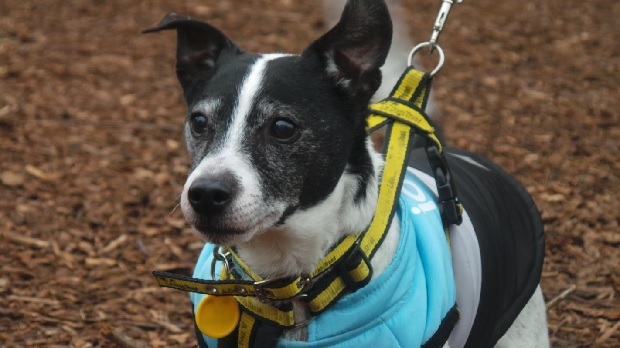 13-year-old Jack Russell Jake is being rehomed by Dogs Trust Merseyside but is now in a foster home, he’s NOT at the rehoming centre. Poor little Jake has just lost his best friend in the world – Marble the Lurcher has very sadly passed away due to kidney failure. You may have seen their page on our website before this very sad outcome and will have read about Marble curling herself around Jake when they settled down to go to sleep at night. 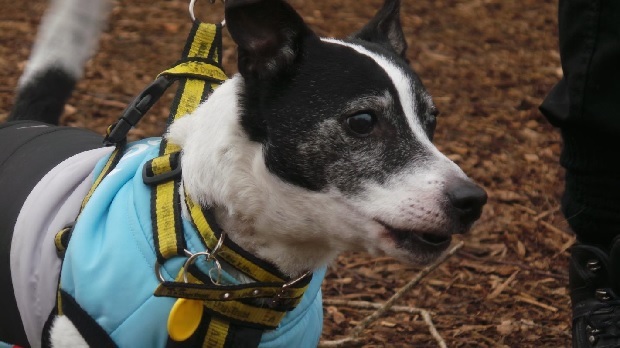 Jake must be missing his friend very much, but thankfully, the lovely people at Dogs Trust have placed Jake in a temporary foster home, so at least he has home comforts while he waits for a forever home. Jake loves cuddles and is an affectionate boy who will do his best to get your attention and he won’t stop until he’s on your knee. He is a young at heart chap who is toy mad and loves to be outside, investigating and exploring. 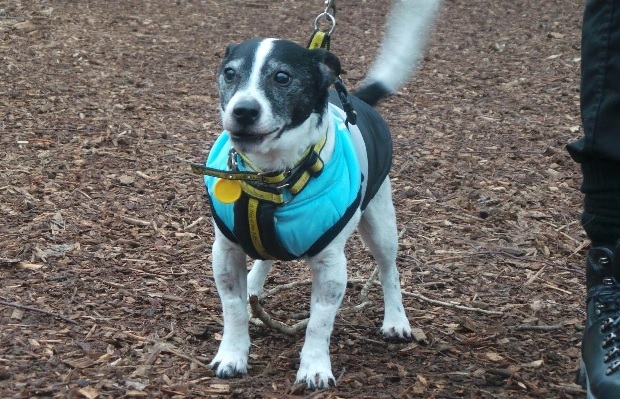 Jake can live with children aged 10+. He gets a little vocal when he’s around other dogs, and doesn’t always enjoy it when they get too close. He’s perfectly housetrained, but would prefer a home where someone is around most of the time. Jake is in a temporary foster home, NOT at the centre, so call Dogs Trust Merseyside on the number below, to arrange to meet him. Please mention that you saw Jake on the Oldies Club website.